Health is everything and without it, you have nothing. It’s a gift to be treasured. It often takes the support offered by a trained practitioner to help you achieve optimum wellness. When you choose a registered dietitian in Tampa, FL, to guide and assist you in this journey to continued wellness, you get focused and comprehensive attention. I, Barb M. Mahlmeister RDN, IFMCP, am fully prepared to help you with any health issue. I work with individuals of all ages to improve their overall health and wellness. My services include genetic counseling and seminars for many health topics. As an online nutritionist, I support patients across the United States. I came to my career as a dietitian organically with interest in functional medicine that I nurtured by attending seminars in the early 1990s while working for a major airline. Following a trip to Africa, I became very ill and visited many specialists who couldn’t diagnose the issue and treated me with several antibiotics. I was finally diagnosed with a parasite. The antibiotics were very hard on my system, and no one could resolve the issues. I researched the condition and eventually treated myself for candida, a fungal infection. That experience serves me well today as a gastrointestinal nutritionist during consultations with patients as I am always digging deep into their health issues. Due to this experience I returned to school for a Bachelor of Science in Dietetics & Nutrition. 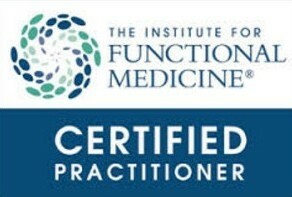 I furthered my studies through the Institute of Functional Medicine and was in the inaugural class of 2013. Contct me to learn more about my services. I am proud to support and serve patients across the United States from my location in Tampa, FL.